It's difficult for many casual basketball fans to remember a Warriors team different to the one we know now - an NBA championship, a ridiculous regular season record of 73 wins and only 9 loses and the NBA MVP improving to levels that no one thought was even possible. But well before this current Warriors squad, there was the combination of TMC - Tim Hardaway, Mitch Richmond and Chris Mullins. The trio was only together for two years and while they didn't win a championship - they did lead the league in scoring in 1989-1990. They played a run and gun, high octane form of offence that was a thrill to watch live or on TV, much like the current Warriors squad. Steph Curry, the reigning MVP who just recently set the three point record, paid tribute to the dominant trio that came together when he was only a year old. Curry sported the "RUN TMC" hat by UNDRCRWN for Game 1 of the Warriors quarterfinals game of the 2015-2016 playoffs. 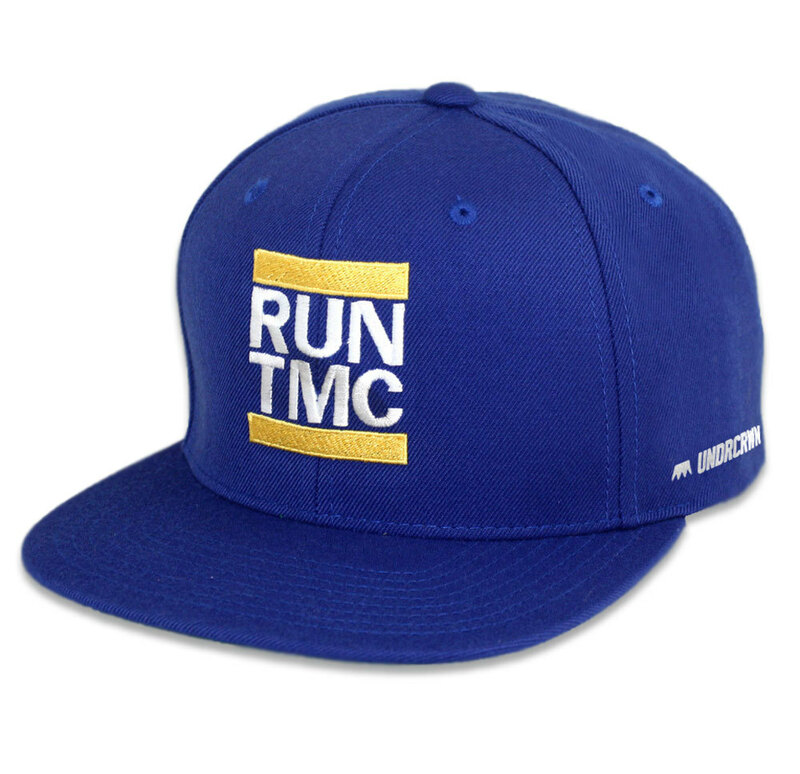 The hat, a play on the RUN DMC logo much like the trio's nickname, is in Warriors color and a nice way to pay tribute to the former kings of Oracle Arena. Get your own over at the UNDRCRWN site for $33 USD. Steph Curry photo via @Warriors, hat photos via UNDRCRWN.